If you’re visiting for the first time, this is part two of a series. See links to prior posts in this series at the bottom of this post. Before I continue with my rat tale, I thought it would be useful to explore and explain why I feel justified to exterminate every last rat using any means possible, period. Even though they're said to ve responsible for the death of 75,000,000 (yes, million) people, I wonder if this isn't the response or reaction that a perfectly rational person should have to a simple, four-legged creature that is stealing a bit of chicken food each day. It didn’t take much work to find negative connotations of genus Rattus, the most important of which to humans are the black rat, Rattus rattus, and the brown rat, Rattus norvegicus. Here’s the first sentence in the “European cultures” section of the rat entry in Wikipedia. 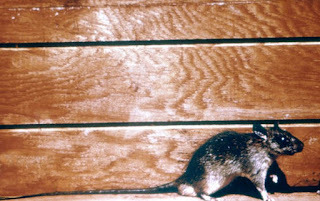 Black rat, rattus rattus, by David Shankbone. On the other hand, while you certainly shouldn't pull one out of a storm drain and put it in your mouth, there isn't any scientific basis to assume that rats are exceptionally disease-prone animals. This stereotype primarily stems from the infamous Black Death, an outbreak of bubonic plague speculated to have killed over 75,000,000 people during the mid-1300s. But it was actually transmitted by the fleas of warm-blooded mammals in general. Rats appeared responsible for the plague only because they were so common. Now obviously bubonic plague isn't a problem these days, and you'll be hard pressed to find a rat-spread disease that is. According to the Center for Disease Control, rats don't even spread rabies. That's right, despite their absolutely staggering numbers, rats are one of the animals you're least likely to get sick from. However, when introduced into locations where rats previously did not exist they can cause a huge amount of environmental degradation. 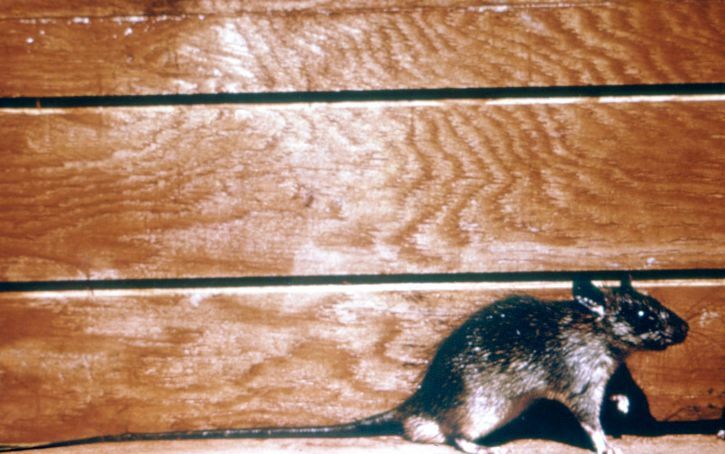 The black rat is considered to be one of the world's worst invasive species. Also known as the ship rat, it has been carried world-wide as a stowaway on human sea-going vessels for millennia and has usually accompanied men to any new area visited or settled by human beings by sea. 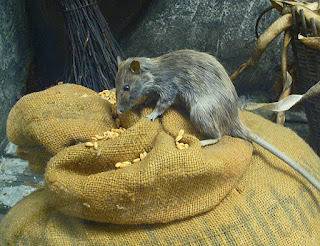 The similar but more aggressive brown rat or wharf rat, has also been carried worldwide by ships in recent centuries. Following the black plague and virtual extermination of the black rat in Europe, the brown rat moved in, changed the locks and has been the dominant rattus since. So, am I justified in my reptilian brain reflex to get rid of rats? The next post explores how the word “rat” has become a regular part of the English language.